Is connection established through Parallels Access secure? How to use Web Console to establish a computer-to-computer connection? What bonus software comes with Parallels Desktop 12 for Mac? 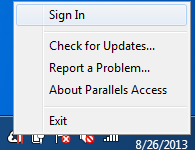 There are several ways to set up Parallels Access. Each way gives you the full power of Access - the only real difference is where you do the setup. 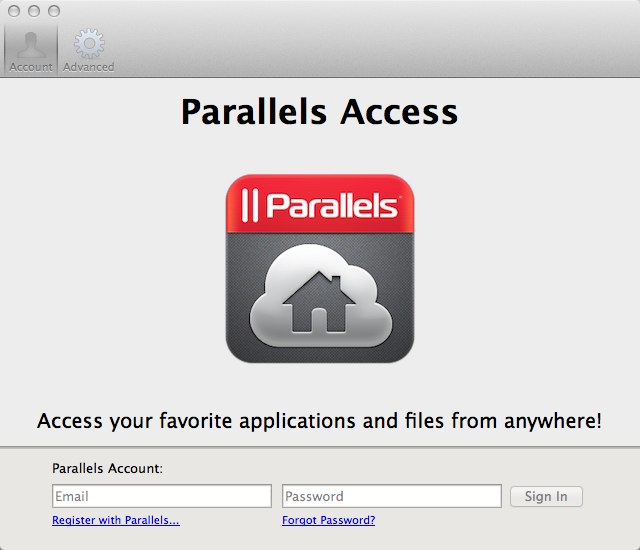 A Parallels account to link the client on your mobile device to the agent on your Mac or PC. Once Parallels Access app is installed on your iOS device launch it and follow the on-screen instructions to create a Parallels account. After your Parallels Account is successfully created continue following the on-screen instruction to download and install the Parallels Access agent on your Mac or PC. 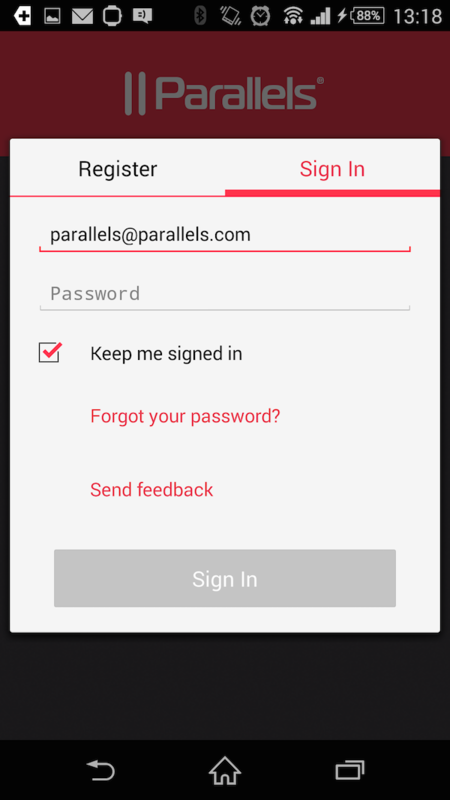 Once Parallels Access app is installed on your Android device launch it and follow the on-screen instructions to create a Parallels account. Note: if you would like to connect to a remote Mac using the Web Console, visit KB122826 for instructions. Login to your account, go to Downloads tab and download version for Mac, follow the instruction to install Parallels Access agent on your Mac. 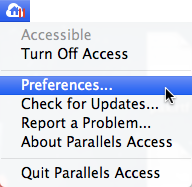 Once Parallels Access agent is installed on your Mac open the Parallels Access Preferences and login to your account. On your Android device get the Parallels Access app from the Google Play Market. Note: if you would like to connect to a remote PC using the Web Console, visit KB122826 for instructions. Login to your account, go to Downloads tab and download version for PC, follow the instruction to install Parallels Access agent on your PC. 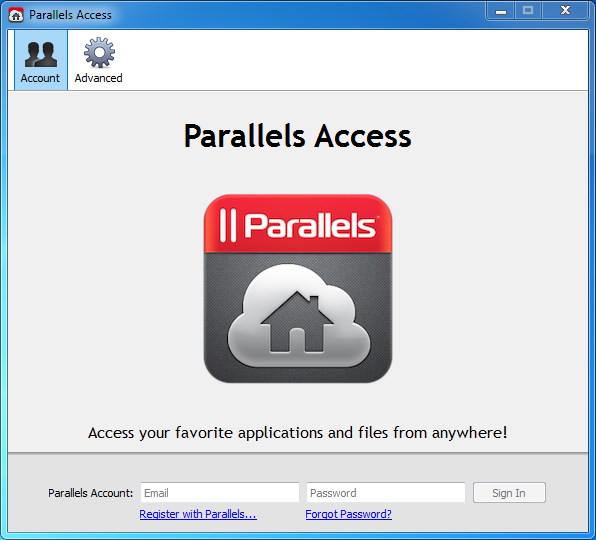 Once Parallels Access agent is installed on your PC open the Parallels Access preferences and sign in to your account. Please also check KB 117064 Is connection established through Parallels Access secure?